Are We Going Back To Search Marketing? Google is coming out with a huge announcement regarding mobile-friendly websites. There is also a lot of mobile usage information pointing to the use of mobile to access search engines, make purchases and get information. As a marketer, I look at Google Analytics and I am seeing a huge shift in people using mobile devices to access websites, social media sites and searches. There are ways around Google’s (Secured Search) to see how people are accessing your site. I am really focusing on search. People are looking for informaiton to resolve issues, help in purchasing an item, to screen people and companies. In addition, most people nowadays consume all of their news online, through social media sites like Twitter, Facebook and Google News. The difference this time around is that search is not about only “keywords”. It is so much more. Social media has brought relationships into the equation. We are looking at search from a relational standpoint. Word-of-mouth and search are joining together to create a powerful force. Two of the top reasons for people opening accounts at our company is by referral or word-of-mouth. I don’t believe that is any coincidence. Have you seen an increase in these two areas with respec to your new accounts. In addition, I believe people are over the newness of apps. Most people go to the same apps all of the time: news, weather, sports, games, social media sites and maybe their bank or local retail stores. However, email, Google search and internet browers are the most popular apps, This is a sign that people want information, quick and easy. Search is back and back in a way! Continue to create good, quality content. Also, consider putting information like location, refernce to other articles to support your content. Make sure you test your site on a regular basis with the Google Mobile-Friendly Test to insure it is Mobile-Friendly. Make sure you always have images with your content. Images get a lot of search value on Google. Make sure your name appears somewhere in your content. Start builiding a reputation. I know Google Authorship is dead, but the concept is still a good model to follow. Creating content is one piece. Now you must share your content on social media sites. This is really important. Start thinking differently. Is it critical to measure all the hits to your website? It is one metric I look at, but its not the determining factor. Also, would your content be better if it were on a different platform. Don’t get into a mind-set of “If I build it, they will come” That is really a concept from the past. Consider, putting your content not only on your website, but also on sites like Linkedin’s Blogging Platform or Facebook. You really need to look at how people are using their mobile technology and determine the best fit for your content with respect to their actions. Start looking at ways to get your message across to people. If you put all your time into Twitter or Facebook, you might be missing out on a bigger picture. Look at all your options and find ways for your content to stand out and be different than all of the rest of the content out there. 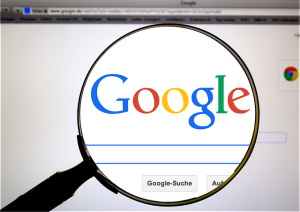 This article was syndicated from Business 2 Community: Are We Going Back To Search Marketing?